Career in Agricultural Science: In 1947, when India was just beginning to taste its newfound freedom, a food famine was almost at its doorstep. India’s first Prime Minister Jawaharlal Nehru’s response then was to the point. “Most things, except agriculture can wait,” he said. This is the importance that agriculture has in the in the scheme of development and growth in the country. Most students would relate agriculture to simply farming. However, agricultural science goes beyond that and includes the understanding of economics, climate and biology. 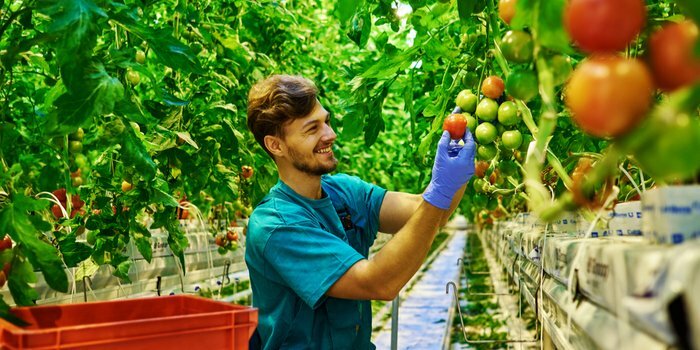 In this article, we will learn what exactly is Agricultural Science and how to explore a career in Agricultural Science. Career in Agricultural Science: What is Agricultural Science? Agricultural science is a multidisciplinary field of biology comprising study of crop production, livestock, weather, economics and social science. With huge demand for agricultural professionals, a career in this field is highly rewarding. Students should preferably study in the science stream after their 10th standard. They can opt for CBSE class 12th, ICSE class 12 or the state boards. In class 12th, they can pusure either Mathematics or Biology as both the subjects are valid for pursuing Agricultural Science. If you have passed 10+2 and want to explore career options after 12th in Science with Mathematics or Biology or Intermediate Agriculture, then you are eligible to apply for BSc (Agriculture). Indian Council of Agricultural Research (ICAR) conducts AIEEA-UG national level entrance exam for admission to Bachelor’s degree in Agriculture and allied areas. To apply for AIEEA-UG, you should have passed 10+2 in above said subjects with at least 50% marks in aggregate and you should be between 17 and 23 years as on 31st of August. There is a relaxation of five years in the upper age limit for reserved categories. Several states and institute specific entrances are also conducted. How to become an Agricultural Scientist: What subjects do you need to study agriculture? How to become and Agricultual Scientist: What after graduation? To explore a career in agricultural science, Agricultural Statistics and Mathematics are viable postgraduate opportunities if you are adept with numbers and statistical models. Other diverse fields to pursue research and advanced education include Agri-Botany, Agri-Biotechnology, Agri-Chemistry, Agri-Economics, Agri-Extension, Agronomy, Agri-Engineering and Social forestry. Career in Agricultural Science: Can I get a job? One can work as an agricultural specialist, product manager and a researcher after completing graduation. For those exploring a career in agricultural science in the private sector employers include insurance, banks and agriculture giants such as ITC, Monsanto, Reliance industries, ITC Ltd., Novozyme and Cargill are some of the top recruiters. Agriculture is taught as a three-year undergraduate program at prominent universities world over. Newcastle University offers a flexible study structure by allowing you to select specialized fields after covering basic scientific and quantitative agricultural studies. The University of Reading lays special emphasis on areas like Farming in Practice, Animal Science and Production, Crop Science and Production, Agri-Environment and Agri-business. The University of Melbourne offers Bachelors in Agriculture as well as Bachelor of Science.